While Office Clean is able to provide cleaning services throughout Ireland via its large network of cleaners, a significant amount of our clients have their main offices or building premises in Dublin. 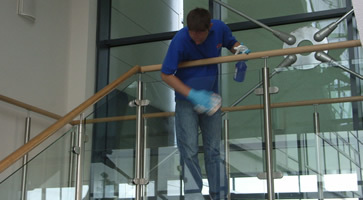 It’s not surprising therefore that this where we have our main concentration of contract cleaning staff. 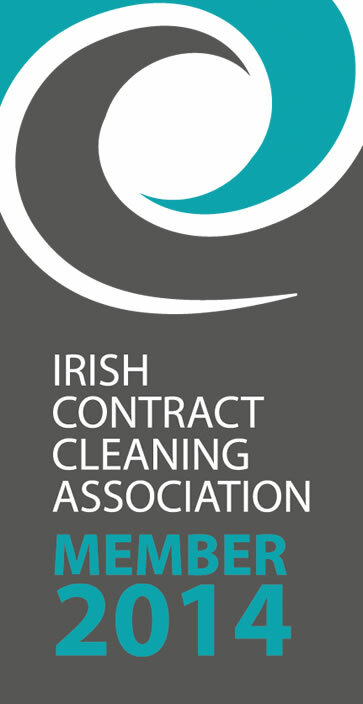 We have a vast network of contract cleaners within the Dublin area and are able to provide the full range of cleaning services to the Domestic, Commercial, Industrial and Construction sectors of the market in Dublin City and surrounding areas. Regular cleaning – minimum is one hour once per week with no maximum. One cleaner on site or as many as is required. Early morning cleans for pubs and clubs and shops and some offices; daytime cleans available if required. Evening cleans for most offices and through the night cleans for complex sites. One-off cleans – periodic deep cleans of toilet areas; carpet cleaning; high level atrium cleans; ultrasonic blind cleaning; stripping and sealing floors. Deep kitchen cleans for canteens, cafes, restaurants, hotels and care homes. Hygeine certificates provided. Ventilation Ducting cleaning and extraction system cleaning for all food outlets. Granite, marble, and limestone cleaning, polishing, regrinding and maintenance. General Office and commercial area cleaning. Clear ups and cleans for Social services and other public sector bodies and organisations. Descaling and cleaning swimming pool and spa tile surrounds. Provision of Janitorial supplies from paper towels to roller towels. Internal cleans to warehouses from ceiling to floor including racking. Internal cleans to ceilings, walls and floors of chillers and freezers in food distribution sites. Degreasing of factory and warehouse floors. Full external cleans to fascias, gutters, roofs. Degreasing and cleaning of machinery. We specialise in builders cleans, sparkle cleans, and post refurbishment cleans and are happy to undertake projects for both private individuals or householders who are having their homes refurbished or extended. We also provide a wide range of clean-up services for builders on new builds or refurbishments and large contractors working on commercial or large scale projects and housing developments. We are extremely experienced at meeting the demands of site managers and project managers, working to tight deadlines and around multiple trades. Our cleaning for builders cleans and sparkle cleans is always done to an exceptionally high standard. As well as internal builders clean we also provide an external cleaning service for glazing, fascia and pre-landscaping clear up work. We also provide regular cleaning of on-site welfare facilities such as portaloos and site canteens. We carry out one off cleans for domestic customers. End of Tenancy cleaning for tenants and landlords. Builders cleans and sparkle cleans. Removal of urine odour from floor boarding, particularly cats.